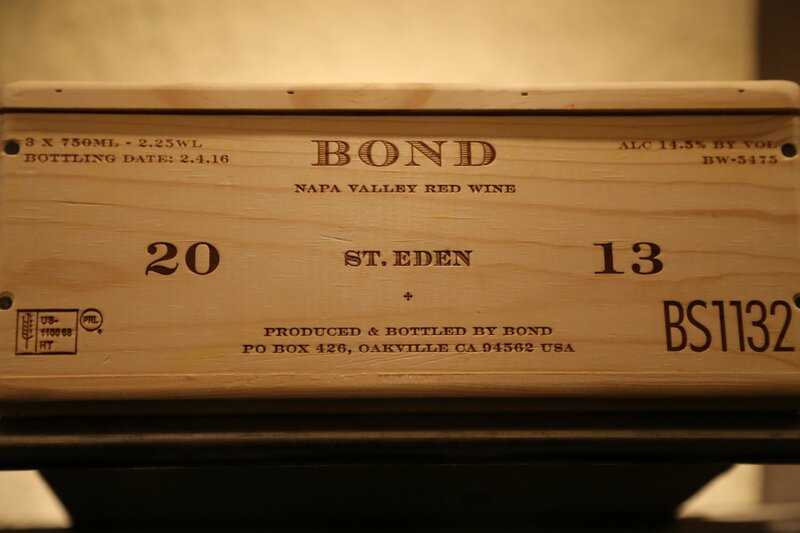 BOND is physical winery – yet more importantly, BOND is a philosophy of creating premium wines from a single varietal (Cabernet Sauvignon) from ‘grand cru’ site specific Napa Valley vineyards. This story begins when founder Bill Harlan owned Merryvale Winery in St. Helena and Bob Levy was his winemaker. 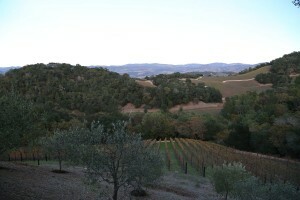 At the time Merryvale worked with around 60 vineyards in the valley; ultimately Bob recognized several vineyards that stood out from the rest based on quality of site. 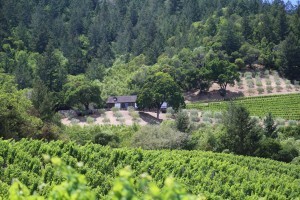 After Bill sold Merryvale, both he and Bob pursued a vision in which they would work together to create an estate built around select vineyards in the Napa Valley (none of which would be under their ownership, but all would be farmed by their own vineyard team – rather than by the owners of each vineyard). They were able to keep several of these premium vineyards after Merryvale was sold. Winemaker Cory Empting has been with BOND since 2000 soon after graduating from Cal Poly in San Luis Obispo with a degree in Viticulture. He grew up in St. Helena and as he says, “I did not come very far down the road” – referring to BOND’s location in nearby Oakville. His wine education and interest came early on – from friends in the valley with last names such as Wagner and Mondavi. Today five premium vineyards are under the BOND portfolio. These vineyards were hand selected and evaluated over a number of years before becoming part of their portfolio; not all five were present out the outset. 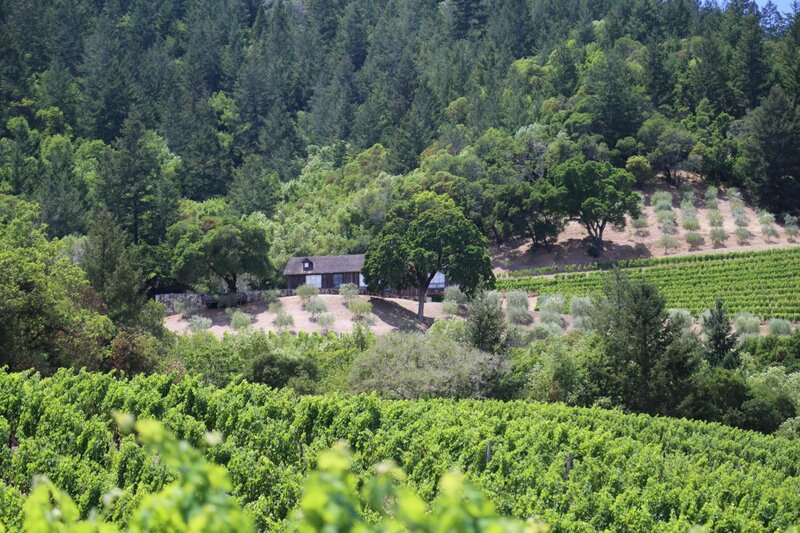 These are hillside vineyards with locations in both the Vaca and Mayacamas mountain ranges. BOND does not simply purchase grapes from each of these vineyards. Rather each vineyard involves a unique partnership between BOND and the owner. BOND then manages the vineyard with their own in-house vineyard management team. Usually they will manage a vineyard for 5-7 years before the fruit is incorporated into their portfolio. Each of these small vineyards range in size from 7-11 acres. Attention to detail in both management during the growing season and when to harvest are paramount. Cory mentioned that in just one of these vineyards they picked 17 different times during one harvest – which remarkably equates to 17 different vinifications in the winery. And that is just for one of the five wines. 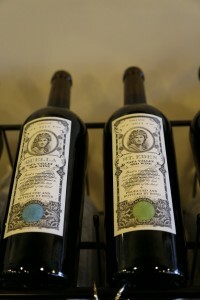 When offered to taste either 2009 or 2011 we immediately chose 2011 for a variety of reasons. This year was a challenging vintage for many in the Napa Valley – a vintage that has already received less accolades then most Napa vintages. And rightly so for some wines – but for many other vineyards, 2011 was a fine vintage. And a number hillside vineyards (especially from the mid valley to the north on the eastern side) combined with smart vineyard management practices produced some stellar wines. It was a year that was raining all the way through early June (remember the weather during the Napa Valley Wine Auction that year), delivered a cool summer and early rains during harvest. Melbury is named after a historic district in London – where the owners of this vineyard live for much of the year. The vineyard is located opposite to Pritchard Hill not far from Lake Hennessy. Along with Vecina, this was the first vineyard in the BOND portfolio. The vineyard is notable for being on the hillside yet it’s soils are generally a compressed clay. The 2011 vintage shows an elegant bouquet with appealing aromas of red currant and raspberry. There is mouth watering acidity as soon as it hits the palate. Red fruit shows mid palate through to the finish, anchored by chalky tannins that linger for some time. 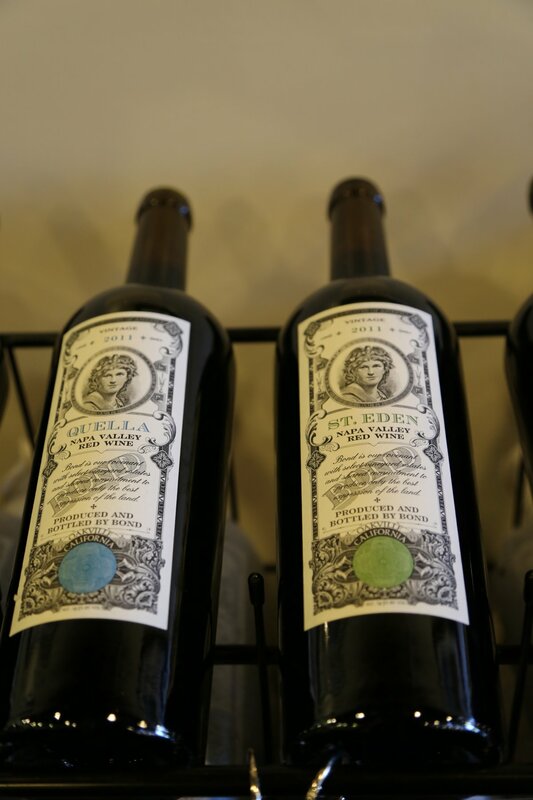 Quella is a German word for aquifers or spring water – which perfectly ties into this specific vineyard location; geographically it sits in an area known as Spring Valley not far from Joseph Phelps Winery. The vineyard is geologically intriguing; it sits on an uplifted river bed – nearby soils have eroded down over millions of years leaving plenty of alluvial cobble as well as white volcanic ash along with reddish volcanic soils underneath. This is the newest entry into the BOND portfolio with a first vintage dating back to 2006. 2011 Quella. Immediately the bouquet shows a quality that we sometimes refer to as a “smoky elegance” – initially dark fruit, liqueur, tobacco and as it opens notes of cedar and mocha. The palate is juicy, and mouth watering with a rounded mouth feel. Moderate and integrated tannins anchor a fairly long finish. This wine is drinking very well young. The St. Eden property is located on a small knoll at the edge of an alluvial fan that comes down the west side of Pritchard Hill extending to the valley floor. Cory calls this wine the fulcrum of the portfolio – sitting in the middle of their wines – not as elegant as perhaps the Melbury and not as robust as their bigger wines – the Vecina and Pluribus. The 2011 shows a pleasing dusty earthy note to the bouquet – a dry dustiness if you will. The bouquet is complex, with more darker fruit showing then red – blackberry, a wet crushed rock component and hints of dried herbs and sage. Rich fruit shows on the palate – black cherry and blackberry. The tannins are dusty and initially touch the palate in the front showing more in the front than the back. Vecina which means ‘neighbor’ in Spanish is appropriately named; it is located just south east of the BOND property on the southern edge of the Oakville appellation. 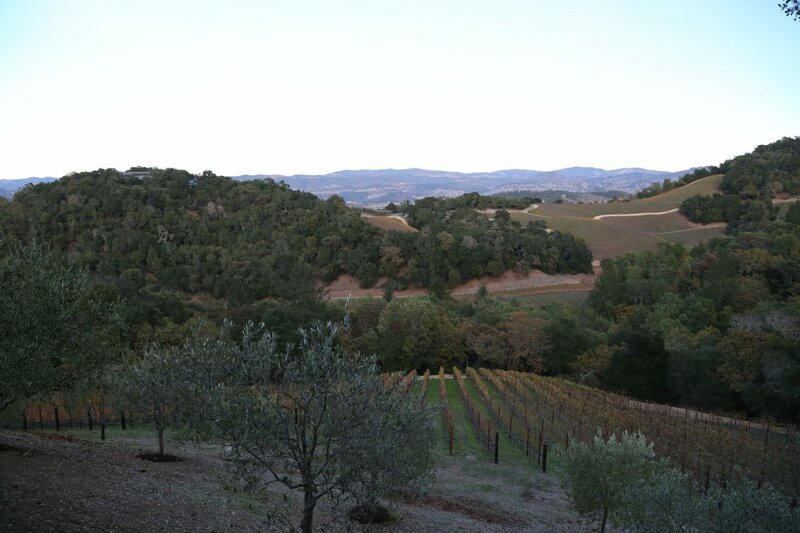 This vineyard sits on the edge of the Mayacamas mountains and is east facing. The soils here are generally alluvial. The 2011 vintage shows predominately darker fruit aromas on the bouquet – with notes of blackberry and plum continuing onto the palate. The palate is rich, rounded and robust showing mostly darker fruits. Structurally this wine delivers and continues to do so for some time on the finish. 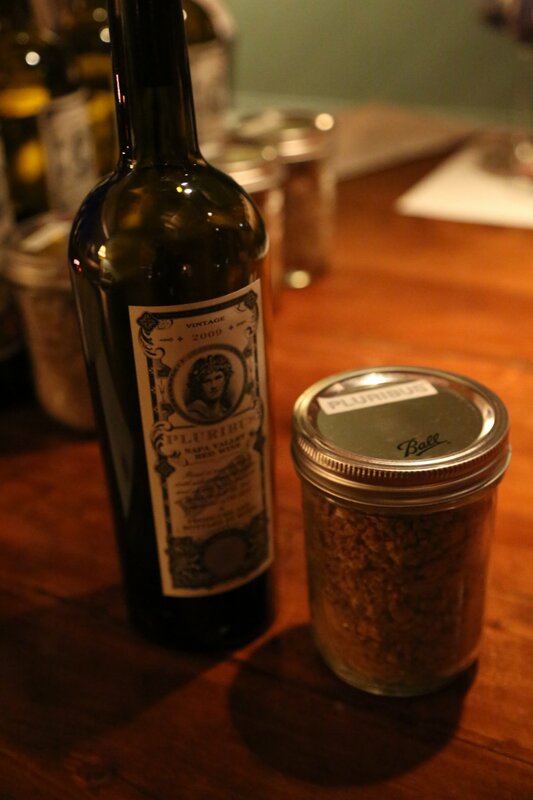 Pluribus means ‘many’ in Latin and references all the multiple components and facets that go into making wine. This vineyard is east facing with volcanic well eroded soils located at an elevation of about 1100 feet in the Spring Mountain District. 2011 vintage. The bouquet needs time to breath and open – when it does, it shows bright and lively aromas of black fruit, notes of earth and hints of tobacco. This wine is rounded on entry but immediately you can tell this wine has both density and layers of flavor and structure. Good acidity, lingering fruit and robust mouth filling tannins keeps the finish lingering for some time. This is a wine built to age. The look and feel of BOND’s packaging is built around themes of money. BOND is Bill’s mother’s maiden name – the wines are labeled with a historical feel to them that resemble old bank or bond notes. Matriarch is a second wine; it is created from components used for BOND wines that are not used in the final blends.